If you haven’t heard by now Volition is teaming up with WGMU for our first ever lyric competition, not only will the song writer get a chance to perform their work on WGMU and get their lyrics printed in Volition but they will also receive a free Kindle from the Offices of Student Media, so get your chords in shape and submit to wgmuvolitioncontest@gmail.com! Thank you everyone who came out to Open Mic Night, you all made it a huge success. 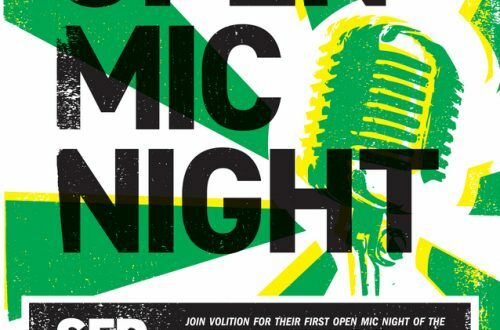 We hope to host a Slam Poetry/Open Mic Night in early May where you will also be able to pick up this semesters Volition Magazines! We hope you all come out again to share your amazing poetry, music and prose with us! If you want to check out some photos from open mic night you can look under the ‘Open Mic Night’ Tab to your right. Remember that April 4th is coming up quickly so send is your submissions by then!